I am a bit late catching up on Ralph's antics this week as I have been busy teaching cupcake classes and dealing with the first week of school holidays! 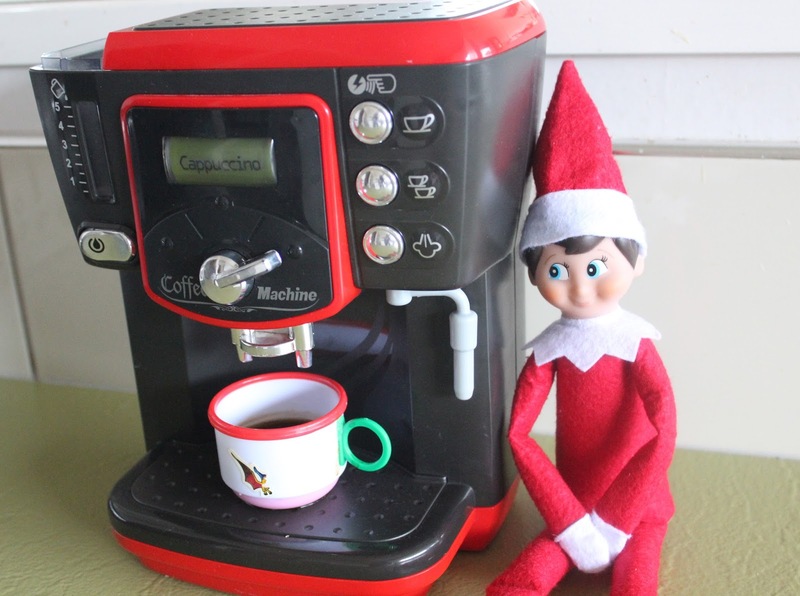 Ralph has been busy too, and it seems like he needed a caffeine fix on Monday morning. 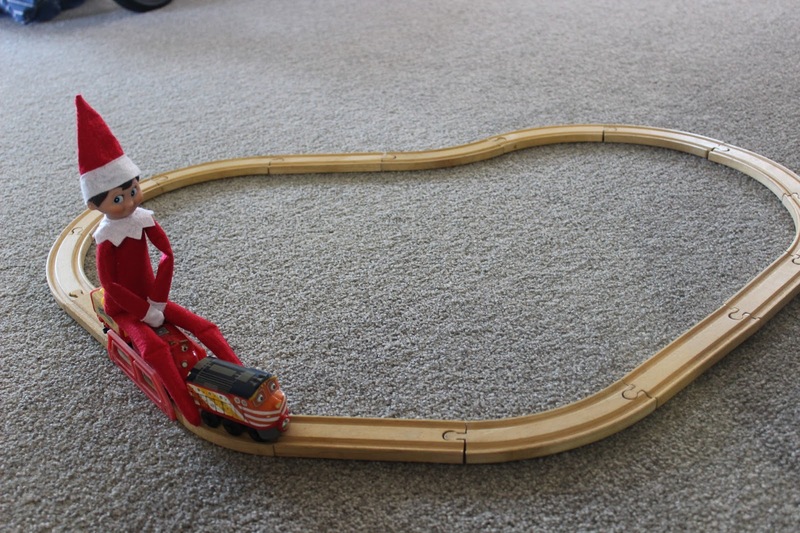 Tuesday was our Polar Express themed day, so Ralph decided to create a train track to ride on. 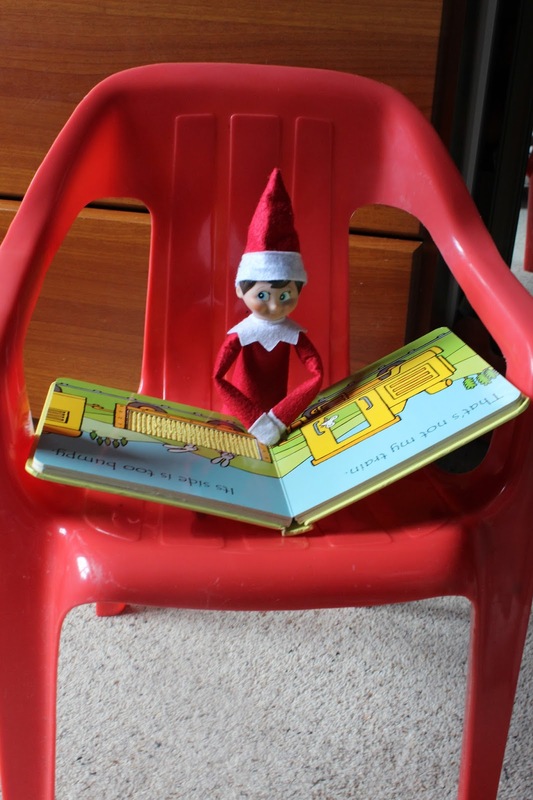 The boys were delighted to wake up on Wednesday morning and find Ralph reading in their bedroom. 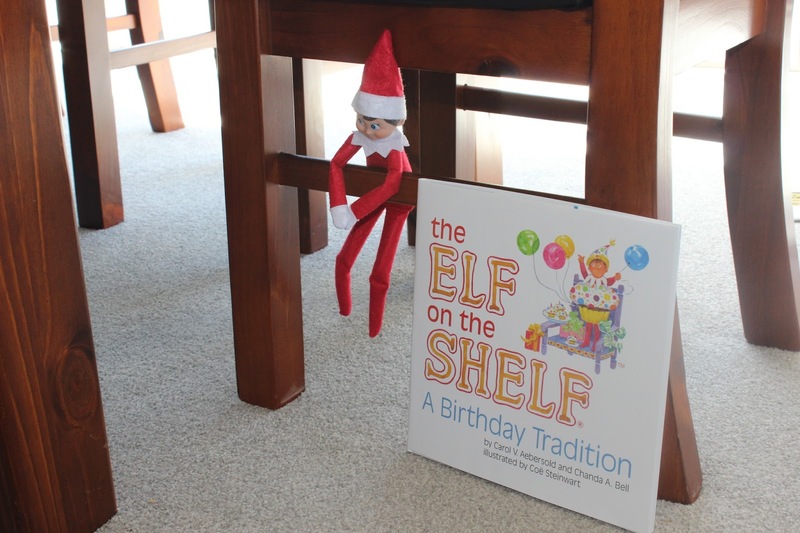 On Thursday, Ralph brought a new book with him to prepare for an upcoming celebration! 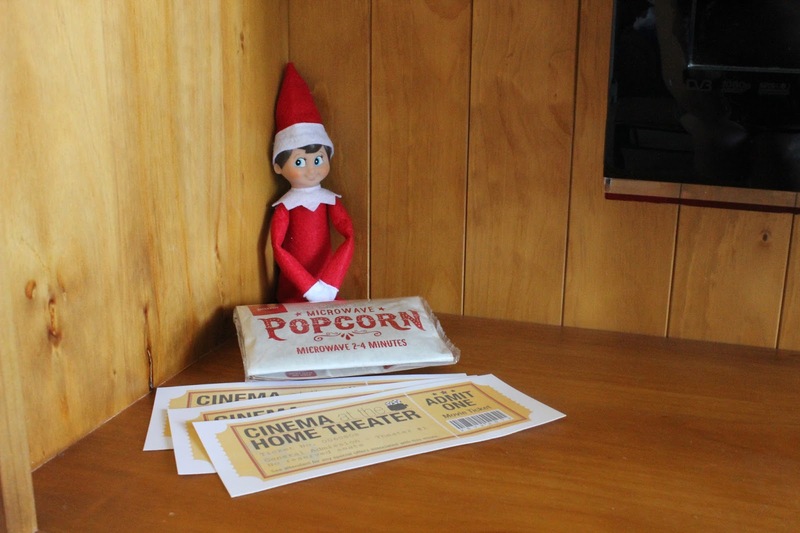 Friday was our family movie night, and Ralph provided the popcorn! 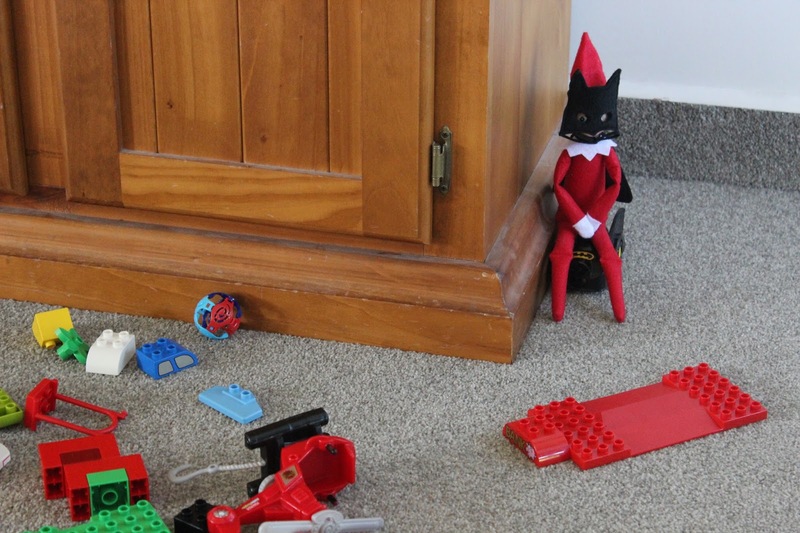 The boys took a while to find Ralph on Saturday morning- they had been playing with the Duplo and so Ralph borrowed the Batmobile and dressed up as Batman. Sunday was a very special day in our household, as Lucas turned 7. 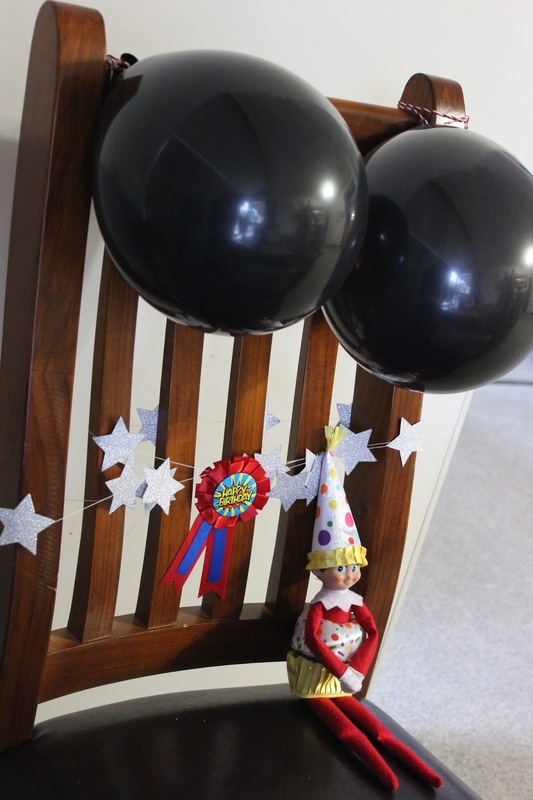 Ralph decorated a special birthday chair for Lucas to sit on, and even had a cupcake outfit on to join in with the celebrations. The next week will be the last week of Ralph's antics as he will return to the North Pole on Christmas Eve, but he still has some great tricks up his sleeve!